Work on the new Paceville master plan, which was expected to be out by May, has been put on the backburner and might only see the light of day after the next general election, Times of Malta has learnt. The original plan was published last September, but the Planning Authority was forced to go back to the drawing board in the wake of a public outcry. The document fuelled controversy after it emerged that UK planning firm Mott MacDonald, which was commissioned by the PA to draft it, had a potential conflict of interest. This was due to the fact that it had been the leading consultant in a major high-rise project in Paceville which is still in the pipeline. Consequently, last December, Parliament's Environment and Development Planning Committee drafted new terms of reference for a revised planning framework. The revised plan is expected to reflect the feedback from a public consultation period, which had to be extended by four weeks following requests, including the Malta Developers Association. In December, PA executive chairman Johann Buttigieg told The Sunday Times of Malta that the “second draft” of the master plan was scheduled to be ready around April or May. However, sources have told Times of Malta that work on the new planning framework has fallen behind schedule and cast doubts whether it would be out by the next general election, which is a year away. They pointed out that the deadline to issue a public call in the third week of January had been missed. This was confirmed by a PA spokesman who was asked for the latest developments on the matter. "Following the public consultation phase on the first draft of this document, the authority is currently preparing the necessary documentation in line with established tendering procedures so as to be able to continue with the review process," he said. However, questions on the steps being taken to ensure there would be no fresh potential conflict of interest and the timeframes for the publication of the new master plan remained unanswered. The original plan also fuelled controversy after it transpired that large tracts of private property, most notably St George’s Park and the state-of-the-art Aragon Business Centre, would have to be expropriated and pulled down. 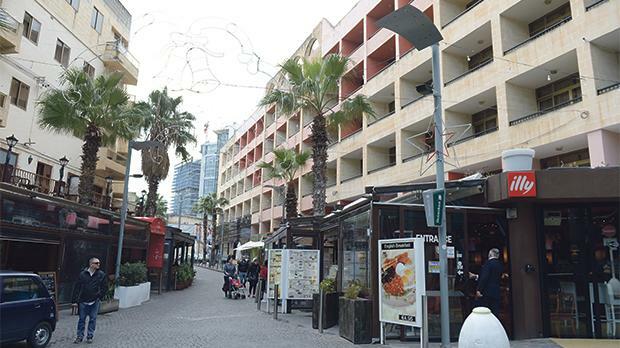 Complaints were also levelled from the entertainment industry, with Paceville business owners saying that the plan would drive them out of business, as at least 30 establishments would have to make way. It was also emphasised that open spaces must not be shifted from one private property to another, especially for the case of tall buildings. The criteria was drafted in view of the fact that the master plan had shifted a proposed plaza from the Mercury House site to St George’s Park. The guidelines also say that the planners must outline both the current and the proposed function for every affected site. In addition, it was agreed that "circumstances where private property had to be sacrificed for private gain" should be avoided. However, in cases of expropriation, there needs to be a predefined mechanism, while in the opposite scenario, in which public land is sold to private entities, this must be done at market prices. The terms of reference also state that prior to the implementation of the plan, the infrastructure of the surrounding areas should first be strengthened. Apart from calling for consultation with neighbouring local councils even in the drafting phase, planners were advised to withdraw the land reclamation proposal in the original plan.